Empire: Treyarch adapts its Black Ops III movement system to the Call of Duty®: Black Ops II fan favorite map Raid. The re-imagining of this classic, medium-sized map features an authentic Roman villa that has been “recreated by a modern-day eccentric billionaire,” where a classic map structure mixes with the new gameplay mechanics of Black Ops III. Cryogen : Located far off the coast in the Dead Sea, an isolated compound holds some of the world’s most dangerous criminals in frozen isolation. Sentry towers keep watch over the small map’s circular design as frenetic combat is funneled around the prison’s cryogenic tubes, where opportunities for wall running attacks abound. Berserk: Ancient sentinels from a lost civilisation guard the entrance to Berserk, a Viking village frozen in time. Players will fight through blizzards and control the centre bridge as they navigate this medium-sized map’s wooden buildings, deadly rocky outcroppings and tight chokepoints. Rumble: Gamers battle amongst larger-than-life mechanised warriors in Rumble, a stadium where giant robots battle to the roar of the crowd. This medium-sized map funnels high-speed combat to the central arena, where players battle their way through fallen mechs and pyrotechnics. Descent also contains the next Zombies chapter, Gorod Krovi, which takes place in an alternate 1940’s Russia (the one with the zombies in it). Excuse me, did I say just zombies? I meant to add there are also dragons. It’s pretty out there. 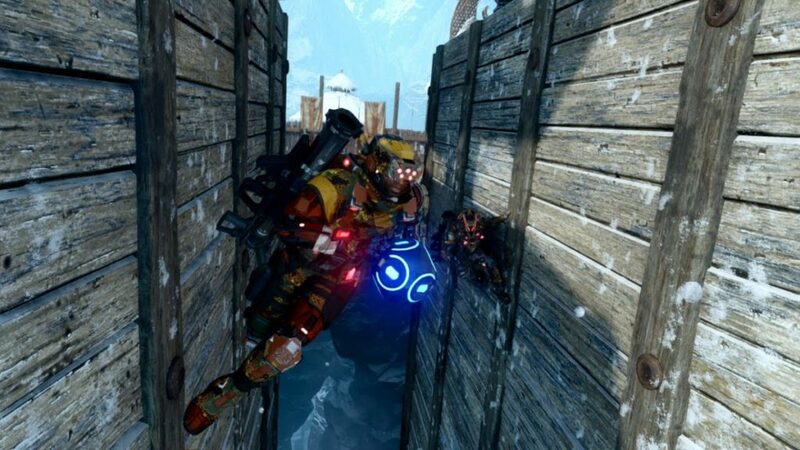 As is the case with all other Black Ops 3 DLCs, Descent will be exclusive to the Playstation 4 for its first 30 days. It’ll cost $14.99 individually or can be downloaded as part of the $60 Season Pass. Now here’s the trailer….